If you thought that you knew John Constable’s art, you are going to be in for something of a surprise. 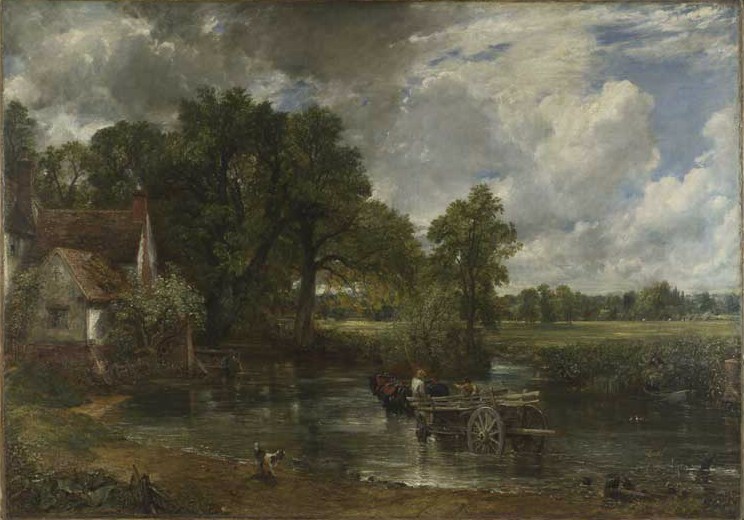 ‘Constable: The Making of a Master’, which recently opened at the Victoria and Albert Museum, presents an important reassessment of his work, challenging the notion that he was a ‘natural painter’ who had a direct and unmediated experience of his landscape, but demonstrating instead the extent to which his art was influenced by the art of the past and shaped by artistic tradition. Yes, these famous paintings are still the same reassuringly wholesome visions of rural England we know and love. But we come away from the exhibition with a fresh sense of what Constable was trying to achieve and the resources he drew on to do this. And although the exhibition does not address the political inferences of Constable’s art, there are new conclusions that could be reached here, which would potentially disrupt the image of a stable and harmonious England his art so often seems to epitomise. It is a pleasing symmetry that Constable at the V&A should coincide with ‘Late Turner’ at the Tate. Turner and Constable: the great double-act of British landscape art, but in reality two very different men. The son of a London barber, Turner painted for his living, and had all the drive and ambition of a self-made man. Constable, on the other hand, was born into a family of wealthy Suffolk farmers, a prosperity that freed him from commercial necessities, at least in the early stages of his career. Town and Country, professional artist and gentleman amateur – these are the polarities that set the two men apart. 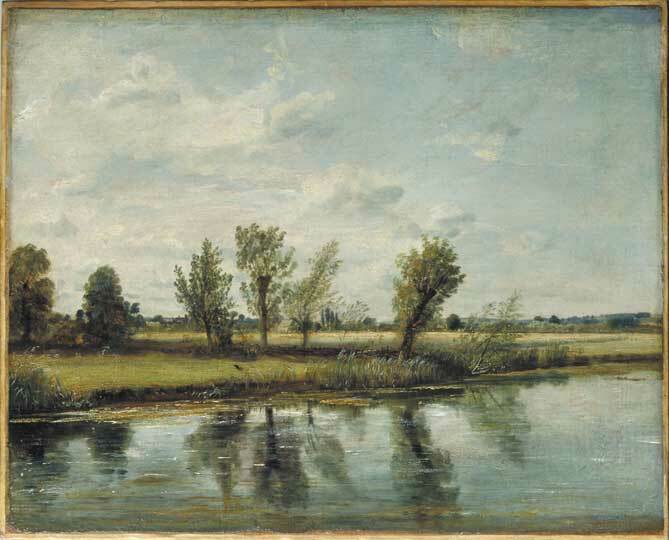 Constable’s depictions of the Suffolk countryside reflect his privileged viewpoint. Works such as The Hay Wain are deeply imbued with a sense of entitlement and possession, and of a genteel and leisurely enjoyment of the landscape. But it is a deeply reactionary vision of England, untroubled by the contemporary realities of industrialisation, poverty or social unrest. This fiction of an unchanging natural order, untouched by modernity, explains their enduring appeal. Constable projects an idea of himself through these paintings as someone who has an immediate and personal experience of the landscape, operating outside of academic convention. Plein-air sketching, expressed through loose brushwork and a free handling of the paint became the signatures of his authenticity. This conception of Constable has proved to be remarkably persuasive and enduring, but it is what the V&A exhibition now aims to overturn. In this fundamental reassessment of Constable’s art, we discover an artist who was working within the long-established traditions of landscape painting, drawing on compositional models and motifs from many of the great 17th-century masters such as Ruisdael, Rubens and Claude. In the words of curator Mark Evans, the exhibition ‘seeks to dissipate the illusory aura of autonomy’ by showing that Constable acquired his mastery through emulation and imitation rather than simply from a direct encounter with nature. For example, we find the National Gallery’s The Corn Field paired with a classical landscape, A Roman Road, formerly attributed to Poussin,from the Dulwich Picture Gallery. And Hampstead Heath, Branch Hill Pond (V&A) intriguingly and unexpectedly echoes Rubens’ Summer: Peasants Going to Market (Royal Collection). The ‘truthfulness’ of Constable’s observations suddenly seems in doubt. 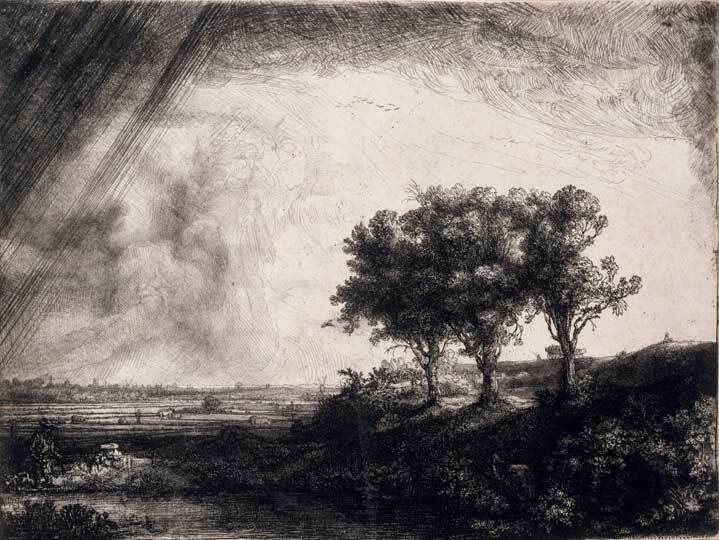 This is not to deny the unquestionable importance of outdoor sketching in Constable’s work. What the exhibition does do, however, is locate this practice within a wider tradition of sketching in oil that includes the contemporaries who Constable looked up to, such as Benjamin West, 18th-century British artists such as Thomas Jones, but also looks back to Claude and the Venetian masters of the 16th century. It was in his large-scale exhibition paintings of the 1820s – the ‘six-footers’ – that Constable attempted to reconcile the liveliness of his oil sketches with the compositional and formal models he had learnt from Old Master precedent. But the exhibition shows this to be a laboured process, often taking many years, and involving full-scale oil sketches with which Constable would attempt to translate the spontaneity of his plein-air work into carefully balanced, and classically constructed, compositions. This was not an artist revelling in creative freedom, but one beset by anxiety and self-doubt. The looseness and vivacity of Constable’s brushwork, that became more pronounced and self-conscious as he got older, and more out of step with conventional taste, was the guarantee of a painterly authenticity in which the artist seemed to have diminishing confidence. His anxieties play out in the agitated and over-worked surface of the paint. The exhibition overlooks the political implications of these contradictions. How could an artist who was in many ways so conservative, in his social outlook and in his reverence for artistic tradition, develop a painterly style that appeared so radical, and so at odds with contemporary taste? What was really at stake here was Constable’s insecurities within a rapidly changing social and economic milieu and an increasingly professionalised and commercialised art world. It was a modern world in which his visions of the Dedham Vale, precariously situated between the real and the imaginary, offered little solace. These unresolved tensions do not diminish the greatness of Constable’s art, but make it all the more interesting. ‘Constable: The Making of a Master’ is at the V&A until 11 January 2015. Another informative episode, but why does it claim to be about war when the subject is given so little airtime?